In just days you will join millions of other players as forces from both the Horde and Alliance travel to the Isle of Thunder to challenge Lei Shen and make short work of his return to life. 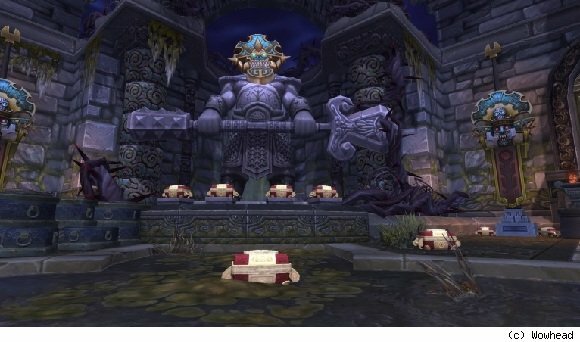 The day will come, be it in Raid Finder or Normal mode, where you strike the final blow against the Thunder King. Well, maybe the next to final blow. Or the fourth from final blow. I mean, there’s 17 DPS in the group so… who knows, right? When it comes to a sense of accomplishment, defeating the “big bad” of an expansion or even a raid tier is a double-edged sword. Yes, there’s the fact that through teamwork and perseverance you all worked together to bring down an overpowering foe… but you’re just one cog in the machine. An important cog, but still a cog. I want to be the one who was responsible for saving the day. The one person whom the entire faction I represent needed in one of its darkest hours. It can be argued there’s plenty of opportunites for that as you quest, but I find that desire still persists even at max level. This is one of the fundamental reasons why the legendary quest line in its current form and the 5.2 solo scenarios exist, and personally I’m thrilled at the addition of this content. I’ve heard the argument before that goes “if you want solo content, go play Skyrim or some other single player RPG.” Sure, I can do that and actually Skyrim has been my second game of choice for a while now. Still, it’s nice to have those moments where as an individual you feel like you’re part of something unique and special to the story. Yes, many others like myself will experience the same content. I won’t be the only “savior of the Alliance (or Horde)” to overcome a difficult challenge during the solo scenario in the 5.2 portion of the Wrathion questline. It’s all about perspective though, and making the experience personal for that moment. It’s moments like this that remind me when class quests were still around during the leveling experience and I earned my warlock mount in Dire Maul. That was an incredible time and one of the reason I stayed hooked to WoW way back then. It’s nice to see Blizzard bringing some of that old magic back in a new form, and based on what I’ve seen in last week’s developer interviews, there’s more to come. This entry was posted in Editorial/Opinion and tagged Legendary, Patch 5.2, Quests, Scenarios, Thunder King. Bookmark the permalink.